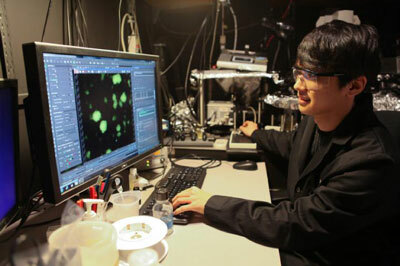 (Nanowerk News) Princeton researchers have developed a way to place onto surfaces special coatings that chemically "communicate" with bacteria, telling them what to do. The coatings, which could be useful in inhibiting or promoting bacterial growth as needed, possess this controlling power over bacteria because, in effect, they "speak" the bug's own language. The new technology, reported in Nature Microbiology ("Surface-attached molecules control Staphylococcus aureus quorum sensing and biofilm development"), contain the very same sorts of biomolecules that microbes release naturally for communicating and coordinating group behavior--a process called quorum sensing.